It’s official. Christmas is no longer a distant daydream, it’s 14 weeks away and I can practically smell the mince pies! Before you scrooges shudder in disgust, preparing for Christmas early is actually the most practical thing to do and will keep the month of December peaceful and not panicked. 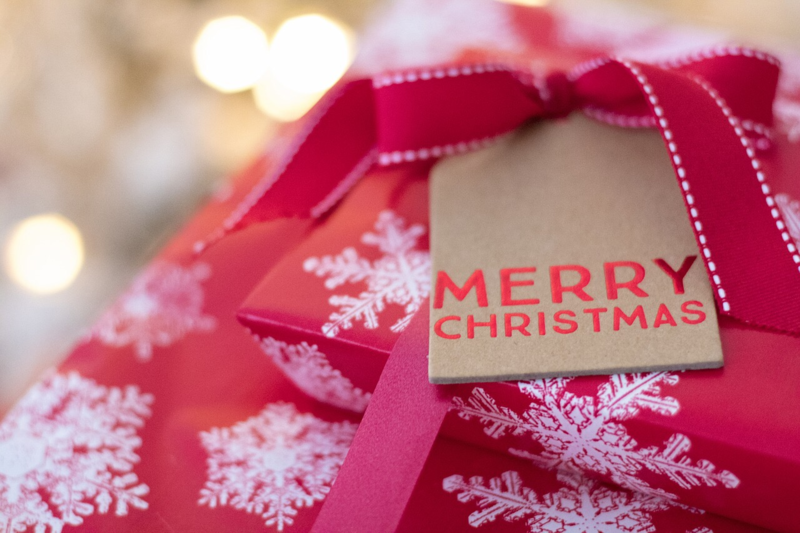 In fact, for the past few years it has been my mission to get ALL my presents bought before the 1st December and I recommend you do the same to avoid the most wanted gifts selling out! As much as I love Christmas (and I really do), I can’t stand the shops at Christmas time. It’s a nightmare navigating the shops with a buggy in tow, in a hot woolly jumper, getting all flustered, queuing for ages, having to heave your carrier bags back to the car. No. Thanks. 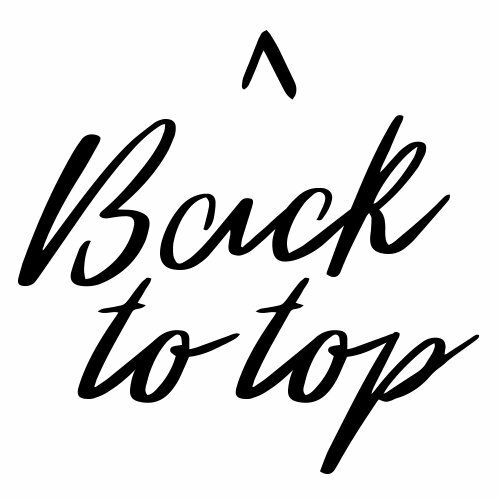 Shopping online is where it’s at! Amazon is your one stop shop for everything you need to make Christmas 2018 an amazing one. With their ultra-fast delivery service, Prime Now, you can take advantage of the new one hour scheduled delivery windows for super convenience. So you’ll never miss your parcels again – yay! With more than 20 themed pieces included (mini blood pressure monitor – sweet!) this will surely keep your little one entertained over the Christmas holidays and beyond. 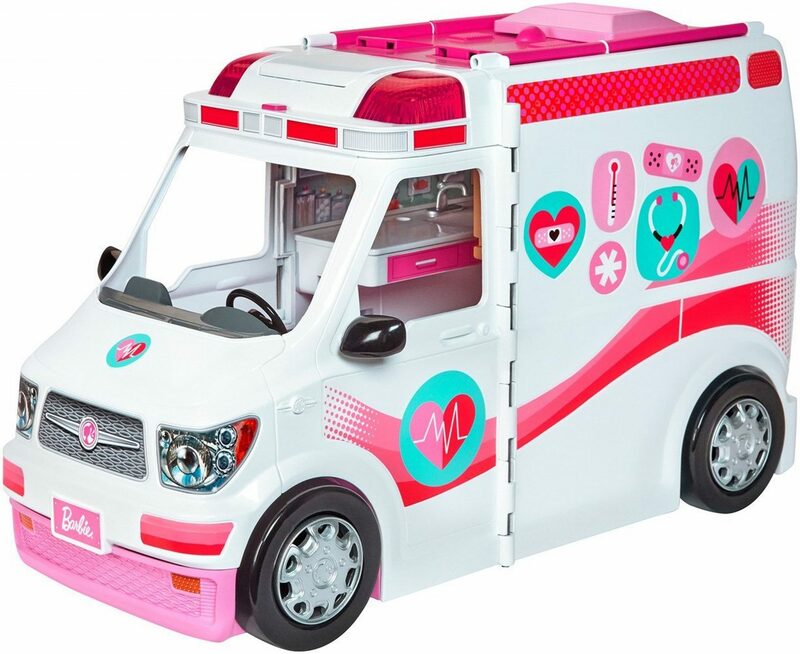 Once opened it becomes a hospital playset and is super cute! I’m all for Barbie teaching children about different careers, especially when they involve being caring and compassionate to others. This ticks lots of boxes for me! Buy it here. 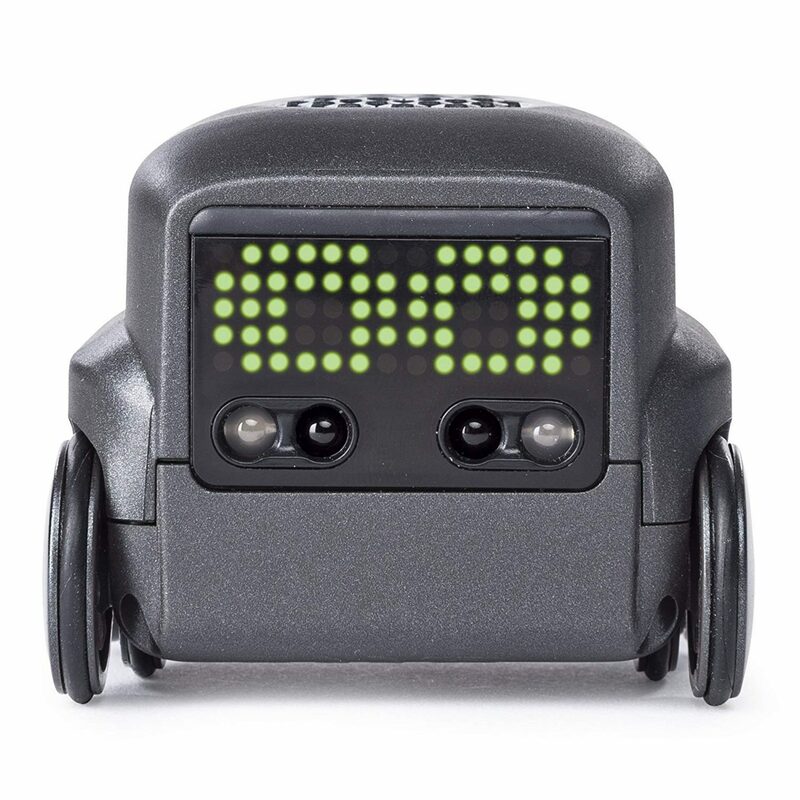 A really nifty toy with lots of functions to try: this AI robot has emotions, games, and tricks! It’s small, so it’s an easy portable toy to show off to relatives during the festive period. To date this robot has only ever had 5 star reviews, with one claiming it was a hit with both children and adults alike! Buy it here. 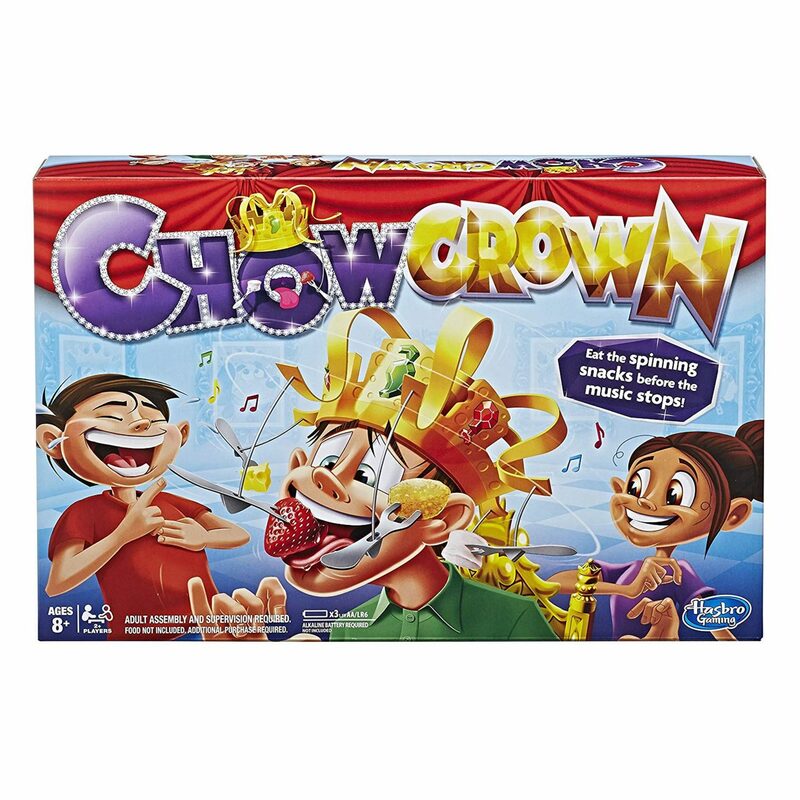 Both hilarious and ridiculous in equal measure, this new generation game involves attaching food of your choice to forks that spin around the crown. The aim of the game is to eat the snacks before the music stops. Be prepared to look silly and get messy! Buy it here. This product isn’t officially released yet but there is a lot of hype about this one! Last year’s “Surprise! Big Surprise!” sold out within 48 hours in American stores, with some fetching $100’s on eBay. Surely the same will happen with this year’s “Bigger Surprise!”. Completely clueless? It’s a toy where the unboxing is the best bit. As layers are removed, you can find clues to which doll will be hiding in the centre. Lots of items and accessories are found on the way. I have to say, the idea is genius and is clearly big bucks for MGA entertainment who are the company behind the toys. Expect excited squealing on Christmas Day! Buy it here. 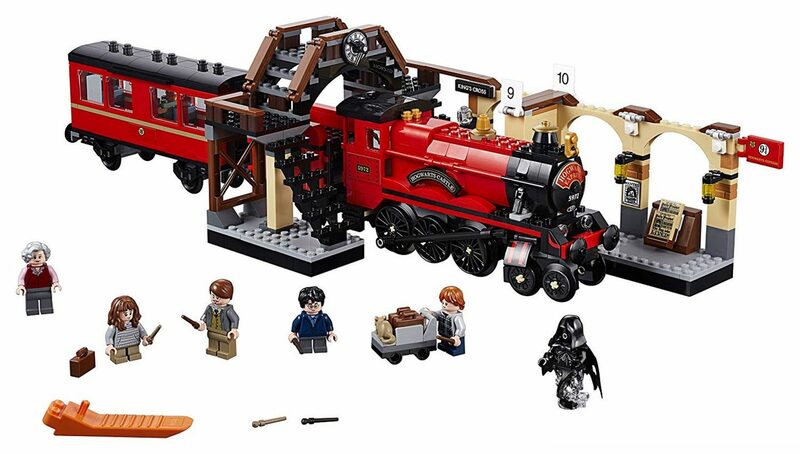 Let’s think of some things us Brits love about Christmas: Harry Potter being shown on TV, classic train sets, Lego building for hours… So this gift is ALL those things wrapped up in one and if no one gets this for ME this year I’ll throw a tantrum. A perfect present that will make anyone’s Christmas absolutely magical. Buy it here. Super cute and affordable, this a like a Furby you can wear! 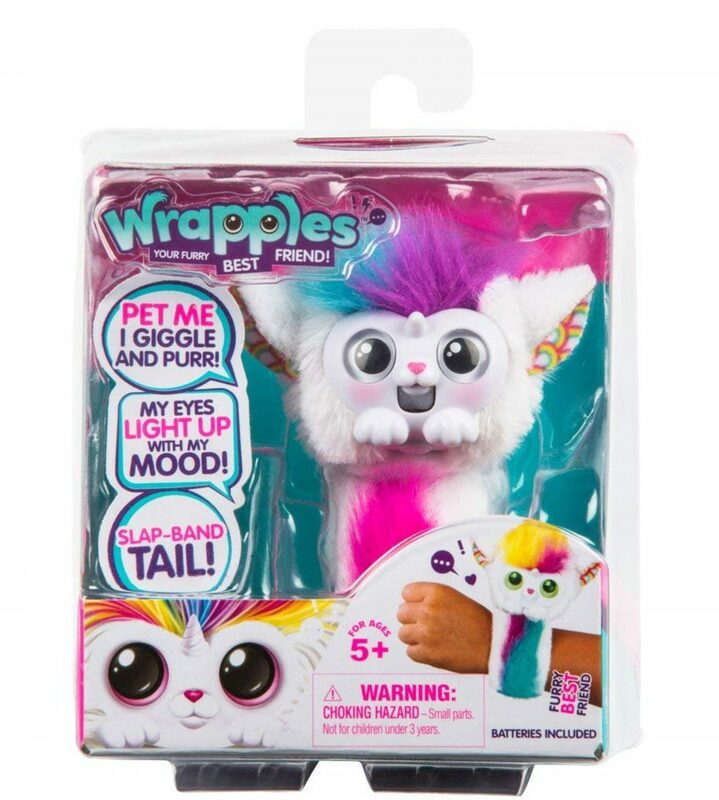 Children can attach these little pets onto their wrists using the slap band and take them everywhere. It has over 50 emotions and reactions to movement, “mood”, and strokes. At the end of the day just tip them upside down and they’re asleep so no freaky noises in the night! It’s also a Bestseller on Amazon. Buy it here. 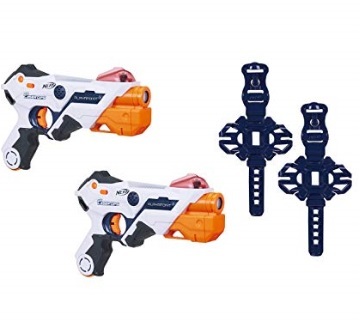 My nieces and nephews are at an age where Nerf guns are a constant feature on every wish list, and no doubt these will be on their letters to Santa. Because it works with lasers, ammo is unlimited and you won’t have to worry about Nan slipping up on the traditional foam bullets! Combined with a snazzy app, you can use GPS to work out where your opponent is, track your “health”, and also play sounds. Definitely one to play with as adults once the kids have gone to bed. I’m all for toys that keep children interacting with each other (even if in battle!) rather than cooped up by a games console so I’ll be considering this one! Buy it here. This year I have bought SO many Paw Patrol toys as birthday gifts. 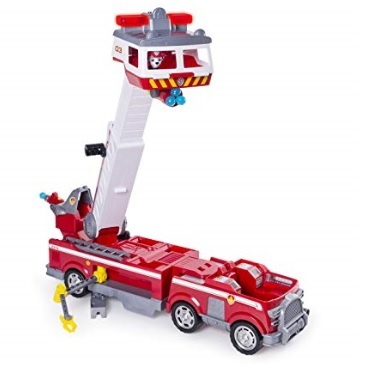 Kids just love the show and will be seriously impressed by this fire truck! With a 2ft extendable ladder and water cannons, there is plenty to keep little hands busy. Buy it here. At first this seems awfully costly for some goo, but considering stock is already currently low on this product I’d guess it’s super popular! I thought slime had gone with the 90’s but clearly kids still love playing with the yucky stuff. 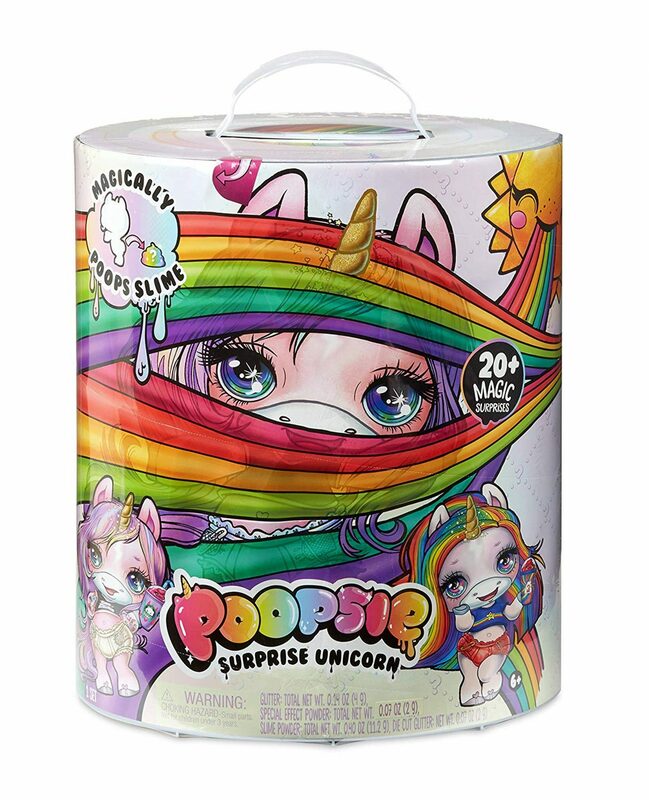 You use the surprise sparkly sachets to create customisable unicorn poop. A mystery scent is also included… I’ll let you decide on this one! Buy it here. “Journey through training answering trivia questions, taking challenges and performing mini dance-offs, trying to win as many votes as possible”. This is certainly a game to crack out after dinner and a snooze. 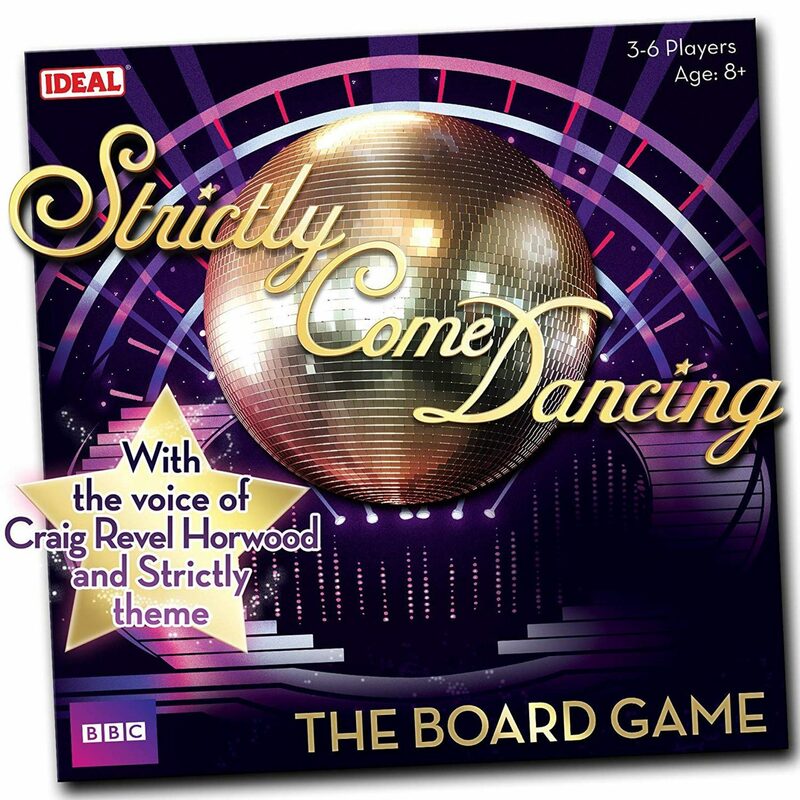 For 3 to 6 players, this game will challenge any Strictly aficionado and the dance-offs will keep you giggling. The best bit is the glitter ball trophy at the end! Buy it here. I hope this list comes in handy for you! Have you tried Amazon Prime Now yet? 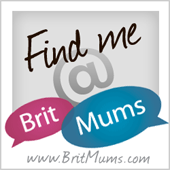 Eeek 14 weeks away! Noooooooo…..
My daughter keeps asking for LOL Surprise, but until I read your post I didn’t actually know what it is. Pricey though! !